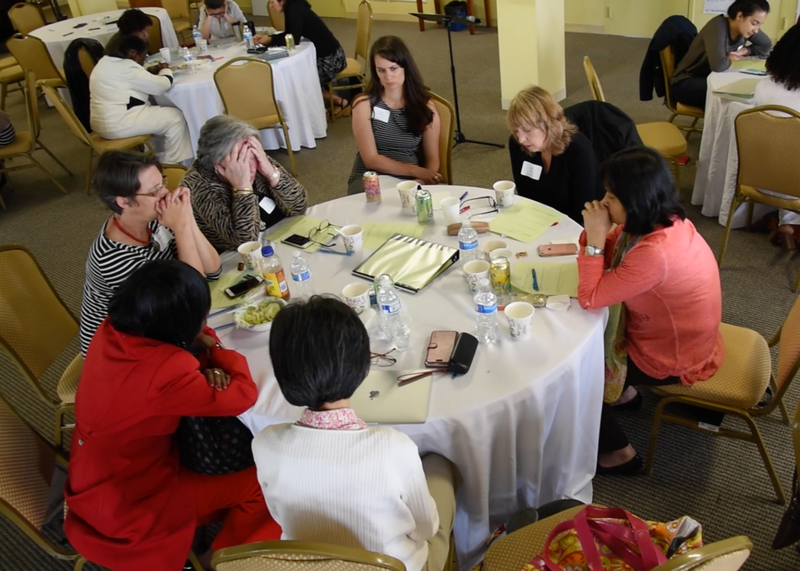 At Woven, Christian women leaders gather to encourage and consult one another. For this year’s consultation, we focused on igniting local collective-action movements. Morning plenary sessions gave practical tools and best practices for effective collaboration and movement building. 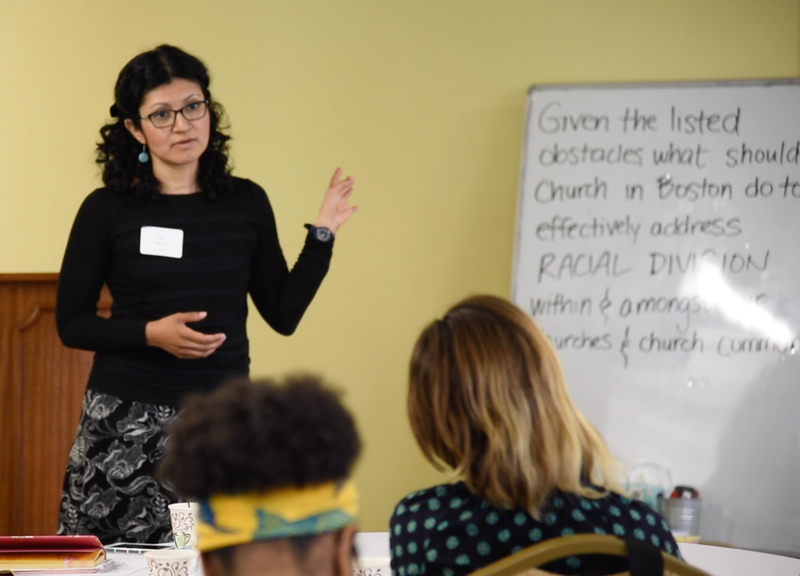 In the afternoon, women participated in one of two workshops, where they advised local networks focused on social justice and church unity. This blog celebrates the leadership growth we observed from that gathering. Godly leadership is not about taking control on behalf of God—it’s about taking the lead in making room for God. Knowing how to make space for the movement of God is especially true in collaborative situations. When we work for a collaborative mission—without seeking individual accolades—Jesus moves freely. And when Jesus moves freely, God’s design for the Church comes alive. 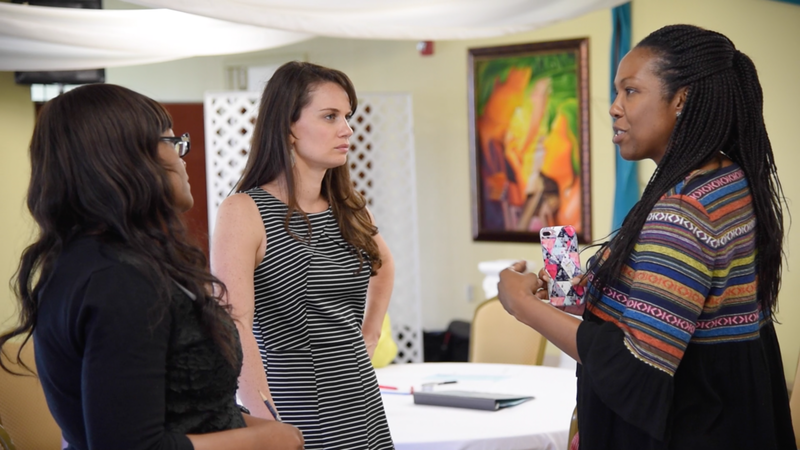 As the women engaged at Woven, they showed courage and growth in collaborative leadership. Here we celebrate that growth and share it with you for your reflection and action in your spheres of influence. Once you enter a collaborative situation, prepare to lay down what you think is “the mission” on the altar of trust in God’s wisdom. While God may call you to pick it back up, allow yourself time to hear from God—maybe through others—about God’s assignment and priorities. Unity is not inviting or bringing people along towards your mission statement. Our own mission statement is not the whole of God’s mission within a collaboration. Instead, as we put ourselves into a broader array of work God is doing, we piece together all the missions, like a stained-glass window. Our mission is just one broken piece of glass that God fits with others. If you’re in a leadership role within the collaboration, prepare to facilitate discovery and clarification of a shared mission. In past years, we designed the Woven consultation day to invite women to discuss their own leadership challenges and supports. This year we decided to focus on building skills for collaboration. We designed a time that would challenge the women to apply the values described here. Towards that end, we designed workshops that would require the women to lay aside their expectations and agendas to work together towards a concrete goal, in this case, building movements for social justice and Christian unity. We are grateful to the women for their flexibility. As you step into a community of people who are thinking differently, prepare to experience a new level of trust in God. Letting others change your perspective is uncomfortable. But as women who have let go of needing to be the one with all the answers know, this openness is critical to engaging in unity work. 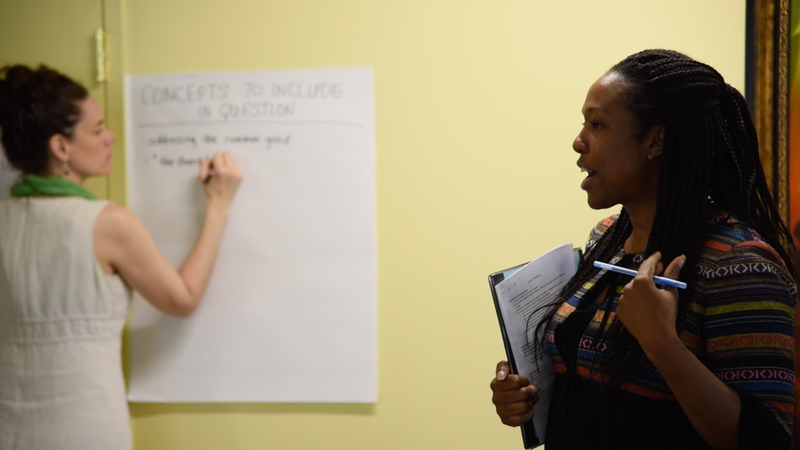 In the social justice workshop, one Woven team member was taking whiteboard notes while a group of women was refining language for a discussion question. She noticed that women were using the word “difference” in unexpected ways. Seeking further clarity, she started asking clarifying questions about what the women meant by “difference” and advocated for a specific definition. In doing so, she confused some people and distracted the group from brainstorming ideas. On later reflection, she realized that she needed to set aside her need for precision in order just to listen and capture what the women were saying. As you listen, try not to “correct” others' thoughts. Instead, focus on gaining perspective. This different focus sometimes requires laying aside how you think a conversation or activity should go. Sacrificial giving is critical to collaboration. If you offer your resources into God’s hands, you might receive them back from the woman next to you, who is giving up her stuff for you. Or you might be the one giving up things for her benefit. By laying aside her agenda, this woman gave herself as a resource. She decided to share her focus, her listening ear, and her expertise as a gift to the workshop group. Be prepared that you may need to play a different role than the one you are accustomed to. When entering a collaboration, ask God to remind you what has served you in the past, and what has proved useful others. He’ll guide you to the best ways to lead and collaborate in the present situation. All the Woven participants are experienced leaders, serving in leadership roles in their homes, churches, and organizations. But in the workshop times, many women saw the need to take a follower posture, playing a supportive role—sometimes even for a topic in which they are accomplished experts. 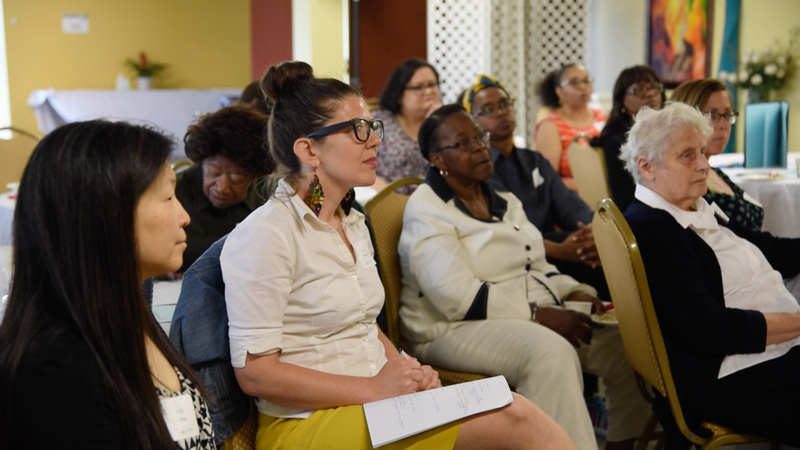 One woman notes, “I did need to continually remind myself of the different places that people were coming from to have this discussion.” In seeing this diversity, she was able to adjust her participation to what the larger group needed. Collaboration doesn’t happen overnight without setbacks or missteps. 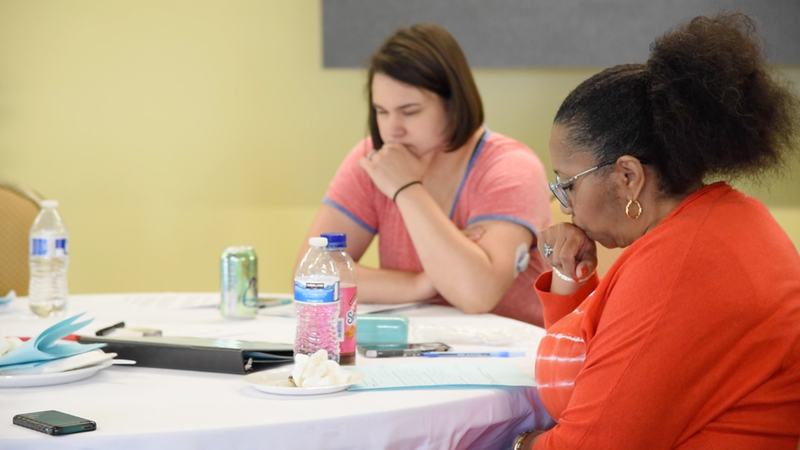 Learning together requires honest evaluation and continual reflection. Admitting failure builds trust and transparency—prerequisites for genuine cooperation. Conversely, celebrating successes as we realize them is foundational. Collaboration is a journey, not a destination. Don’t wait for an “end” to celebrate! When you observe others sharing themselves generously or with bravery, call it out and praise it. When the group pushes through obstacles or engages in hard conversations, celebrate that dedication together. Woven participants give day-end feedback surveys, and many also seek out team members to share their input in person. We’re grateful that women let us know what tools worked and which felt bulky or distracting. They shared how we could have fine-tuned our facilitation. We welcome and celebrate this feedback. How could any of us improve without honest evaluation? We see Woven as successful, not because it is flawless, but because it’s an adaptive space that grows based on feedback. We’re honored to support a space where women can come and share as they are, learning and growing together. (Left to Right) Liza Cagua-Koo, EGC Assistant Director, facilitated the social justice workshop. Jess Mason, EGC Supervising Editor, took notes. 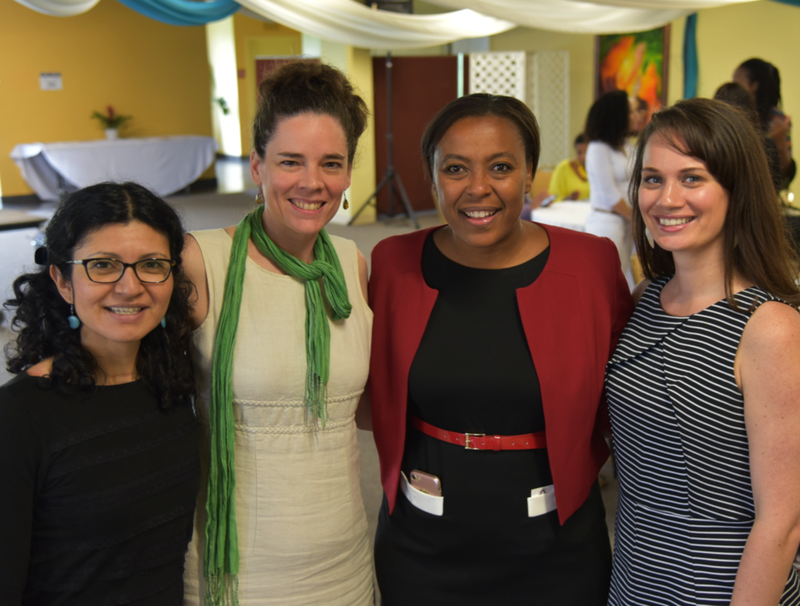 Nika Elugardo, EGC Leadership Systems Architect, led a plenary session and facilitated the unity workshop. Stacie Mickelson, EGC Director of Applied Research & Consulting, facilitated the consultation day.